The U.S. Federal Government agreed to a 20-year, $148 mil lease of an existing 100k sf facility that will be transformed into a state-of-the-art Veterans’ Administration (VA) outpatient clinic – the only one of its kind in Southern California. The property is located on 7.74 acres at 8875 Aero Dr, in San Diego’s sought-after Kearny Mesa submarket, in close proximity to six major freeways and interstates. 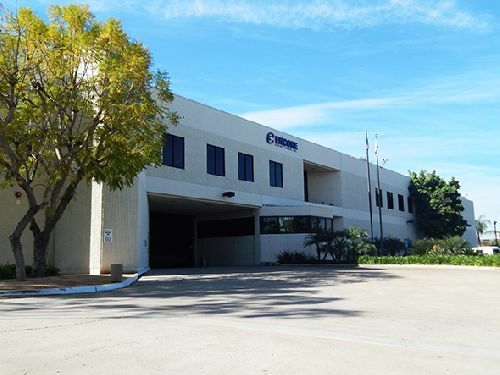 As the second largest suburban office submarket in San Diego County, Kearny Mesa is fast becoming a medical hub. The market is currently home to Sharp Memorial Hospital, Rady Children’s Hospital, the newly constructed $900 mil Kaiser Permanente hospital at Clairemont Mesa Blvd and Ruffin Rd, and a new Kaiser medical office which broke ground in January 2019 and is adjacent to an existing Kaiser facility on Convoy Ct.
Brandon Keith and Kipp Gstettenbauer with Voit Commercial Real Estate Services represented the property owner, Protea Properties, in the transaction. Carpenter/Robbins Commercial Real Estate Inc repped the tenant side of the deal. The Voit team was originally retained to manage the property’s sale or lease while in receivership through Trigild in February of 2015, several years after Bank of America vacated the property. Voit continued to handle the property following foreclosure by CW Capital Asset Management in early 2016. “In May of 2015 we received notice of a Veterans Administration Outpatient Clinic requirement, and quickly recognized that this property’s unique features were an excellent match for this particular requirement,” says Keith, who notes that Voit brought in VA officials to tour the property that month. By early 2017, LNR Partners had taken over administration of the asset, with Voit continuing to represent the property for sale or lease. They sold the asset in August 2017 to Protea Properties for $18.5 mil. With this latest transaction, the property is now fully leased and is being completely renovated to deliver state-of-the-art healthcare to the region’s veterans. The new VA Outpatient Clinic will allow the VA to increase its current primary care, mental health, specialty care, and ancillary services to veterans in a right-sized, energy-efficient healthcare facility. The property will be expanded by approximately 40k sf, including significant interior and exterior upgrades, as well as a new multi-level parking structure.